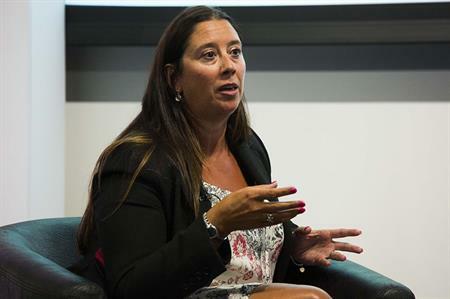 Offering insight at Agency Forum 2015, Rachel Hobson, head of events for BAE Systems Applied Intelligence, reveals her top tips for agencies. "When problems arise I don’t want an agency to panic, I want solutions," she explained. "I don’t want to understand what they have to do to resolve it. I want their face to say ‘yes, not a problem’. Leave it with us and I’ll come back to you with some solutions." When it comes to pitching, the approach is crucial for Hobson. "You need to read between the lines. I’m quite an open person. I give away enough for people to understand – I do that on purpose so that I do give people a chance." She added that body language can always tell you whether something is working in a meeting. Whilst Hobson admits she doesn’t like the hard-sell approach, she encourages agencies to be proactive. "Sometimes I get frustrated when agencies don’t seek out opportunities. That comes with the relationship and constant communication." "I recently had to stop working with a supplier because they couldn’t understand what I wanted. It's crucial for agencies." She added that agencies need to find a balance between ‘selling’ and working closely with corporate clients to discover what they want and need. For Hobson, trust is crucial to relationship success. "Everything is based around the relationship. I couldn’t work without a good relationship." She added that trust is built over time, with agencies making a concerted effort to develop relationships and understand the corporate company's needs. When a corporate company has a relationship with one agent at a firm, it can make things difficult when they leave the company. "I will typically work with one person, who I’ve built trust with and I’m invested with – someone who understands what I want quickly and easily," explained Hobson. "I’ve had to leave a supplier before, because processes weren’t put in place to sustain the agency relationship." "I like to pay on a project basis, and say ‘this is the project, this is the scope,’" explained Hobson. She added that a little flexibility goes a long away and that making small changes without a hefty additional charge is all ‘part of the relationship’. "Internally I can’t turn around and say ‘Oh, my supplier has let me down’," explained Hobson. "We’re all under a lot of pressure and I need an agency to deliver, whatever the circumstances." She added that confidence was crucial, and that one person should be able to orchestrate their group.